Gust Gab Reviews & Give Aways: Big G Cereal Heros - A Give Away! I love when that happens! Comment #1! No one EVER wants to be first to comment on give away posts! - Congratulations ToyStory! Please email me your address so your prize pack can be sent out to you! Thanks to all who entered! Big G cereals and DC Comics have joined forces to create a powerful breakfast for you and some of your favorite little sidekicks. Available now, specially marked Big G cereal boxes will feature collectable DC Super Hero comic books starring members from the Justice League, from Batman to Wonder Woman to Green Lantern! 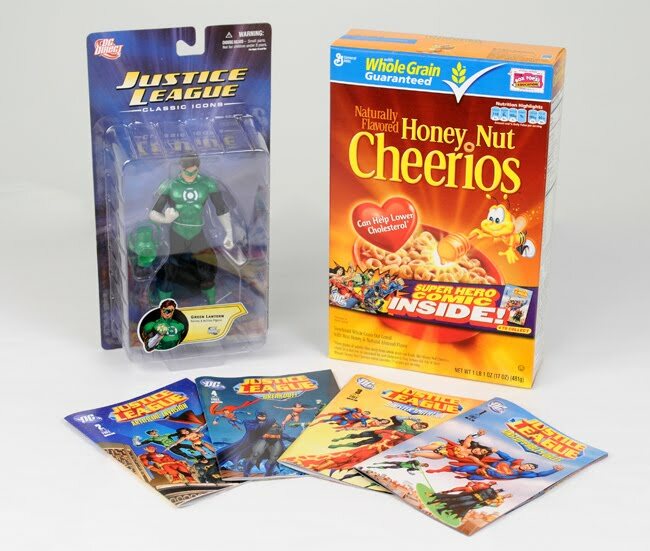 Each box will be packed with action, adventure, and delicious cereal, not to mention a cut-out DC Super Hero mask your child can use to help the Justice League fight crime at breakfast time! Let Big G cereals and DC ENTERTAINMENT feed your family’s bodies and minds while also giving them a super start to their day! Visit http://www.biggcerealheroes.com/ for more information on Big G cereals and DC Comics. The folks at General Mills & MyBlog Spark are generously giving away a prize pack to 1 lucky reader of Gust Gab! I mean, really...who wouldn't want to get this? So how do you enter? Simple - leave me a comment! If you could have any super power...what would it be? hmmmm - there are soo many I'd love to have, but, since I have so many already - I'd have to say FLIGHT! How cool would it be to fly to and from the places I need go instead of getting in the car and DRIVING to them! That would be soo awesome! tell me what you'd love for your superpower...or what you had for breakfast. One winner will be chosen via random.org on Thursday, November 17th. Hummm... super power ... I guess I'd like to be strong enough to open any jar that comes my way! Yes, I liked U on Facebook, but thought I left a second entry... but here it is again. I think I would want to fly also. I think I'll agree with Tabitha...I'd like the power of invisibility. I want to be Elasta-Girl. I can mold my body any way I want. My ideal super power would be the ability to read minds. Though I'll also add that when pregnant, I have a superhero sense of smell. Umm...I think I would want the power to be read go really fast, think of everything you could get done! I had Honey Nut Cheerios and coffee for breakfast. I eat cereal almost everyday.